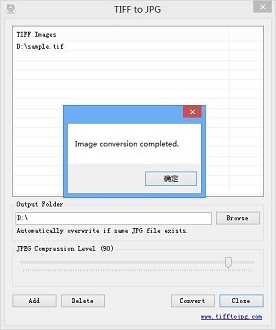 TIFF to JPG is a free image converter, can help you to convert TIFF/TIF images to JPG/JPEG images. 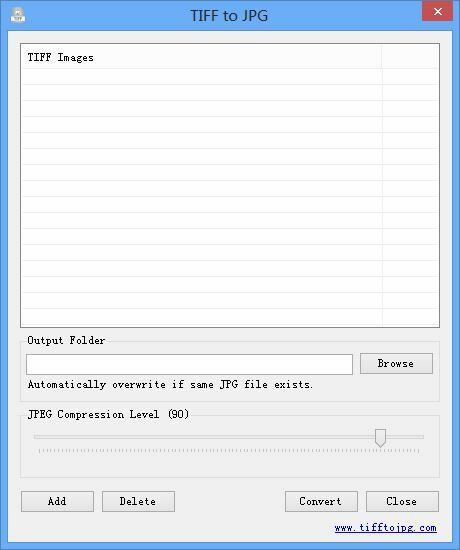 This freeware is easy to use very much, and can support batch files conversion. 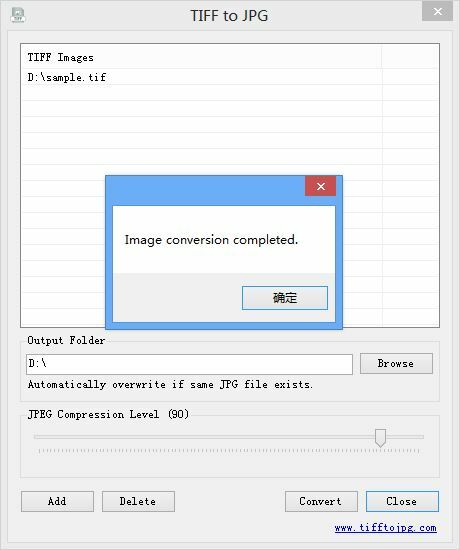 You can customize output JPEG image compression level, higher compression level, bigger output file. In addition, Because TIFF format support multi-frame, so if your TIFF/TIF images include multi-frame, program will generate multiple JPG files. For same image, TIFF file is generally larger than JPG file, you can greatly save disk space by using this program. Freeware, free to use, no ad-ware. The operation of the software is very simple, press [Add] button to select files you want to convert, then press [Convert] button, that is all. The default output JPEG compression level is 90. Please Note that if output folder have same JPG filename with output JPG file, software will automatically overwrite these files.